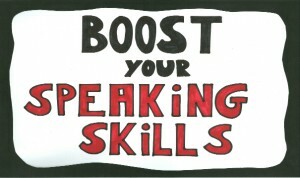 Public Speaking Tips I 51+ Tips How to Improve Your Speaking Skills! 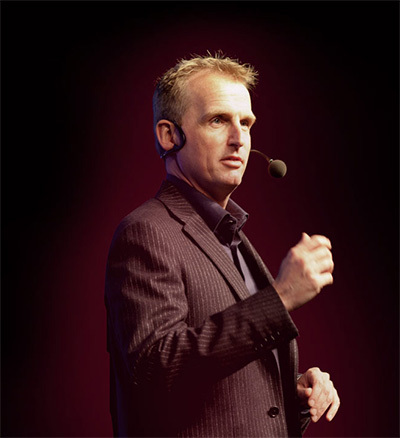 Public Speaking Tips I 51+ tips to improve your public speaking skills! Public speaking tips or ‘how to improve your public speaking skills’ to be more precise is the topic of this guide. Use these 51+ public speaking tips and tricks to get your ideas across. I have been in front of groups for over two decades and learned how to improve speaking skills the hard way. 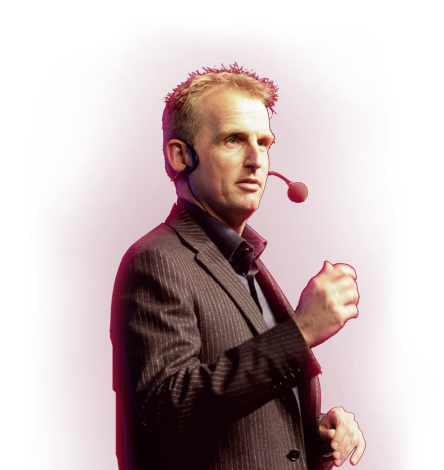 In this free public speaking skills guide [2019 update, with a cool animation YouTube video] I like to share my public speaking tips and tricks that helped me to become a successful keynote speaker. Some people like it, but the majority don’t. Talking in front of an audience. No need to break a speed record. One of the biggest indicators of nervousness is the lightning-fast talker. You might have the best speech ever written, but if no one can understand what you’re saying, it won’t matter. Pace yourself and remember to speak at a normal or even slightly slower pace when you’re speaking publicly. Remember: you always speak faster when you feel the adrenaline rushing. You don’t notice it, unless you deliberately focus on your talking rhythm. Slow down; you are not a rap artist. Try to plan at least 3 deliberate stops of 8 – 10 seconds in your speech. Silence makes your audience aware they are listening to someone. When you close down the noise valve, you not only break your speaking rhythm but also the listening rhythm. Even more so, a longer silence can make an audience very uncomfortable and therefor becomes, when used at the right moment, a very effective speaker tool to command control over an audience. The first step is to overcome your own desire to fill the silence you create. Try to look at a watch to time the silence interval until you get a feeling for it. If you do, there will never be any passion in your voice – and passion is key if you want to inspire your audience (let alone, keep them awake). Remember: ‘people come to listen to a speaker, not to look at reader’. I’m sure you know this but I still see so many people reading their slides. I listened to Lynda Gratton from the London Business School at a recent event. And although I wrote a blog post on the content, I have a hard time remembering the key messages without peaking. But I have no problem recalling the great story Lynda told about her son and the Masai warriors in Kenya at the start of her speech. Even more so, I’m sure I can reproduce the story without any problem in front of an audience. Stories are great to capture attention and to improve the recollection process. If you start using stories, it’s a good idea to write them down and practice them with a friend or colleague until you have absorbed the story line completely. I knew about metaphors a long time ago. I read about them in tip lists professional speakers share. But I had no idea how to integrate them effectively in my interactions with groups until I developed my own metaphor definition. For me, using metaphors means ‘wrapping a message in an easy to remember format’. For example, I use eBay to stress a point about knowledge sharing, I talk about helicopters to stress a point about conceptual thinking, I talk about the Pacman game to show the audience the importance of a clean sweep. And when I run into people who listened to one of my speeches several years ago, that’s what they still remember. Think about the key point you want to make and look for something that you can compare it with. It’s important the link is clear. It’s also important that the majority of your audience knows about the topic you are using as a reference. The most impressive facilitator I have ever come across is my former colleague Peter-Scott Morgan. He gave me a valuable tip: listen to yourself when speaking. At the start, I found it almost impossible to do, as I had the feeling to loose control over my words. But over time, I became much better at it. Today, this auto-corrector is one of my key assets when I’m in front of a group. Start by listening to yourself in innocent conversations and practice this for a few weeks. Once you are more comfortable, test it in front of a group for a few minutes. Don’t give up because it feels strange. Master this skill and your podium performance will drastically improve. Have you noticed the way most people shift uncomfortably from foot-to-foot when they stand in front of a group? They take small steps backwards and forwards, as if they want to start dancing but are afraid to do so. Meanwhile their hands don’t move at all! You actually need to achieve the precise opposite. Your legs and feet shouldn’t move – they are the tree trunk, firmly planted and immovable. Your arms are the twigs – they move freely in the wind (read ‘your arm movement should reinforce your message’). If you do want to move, do so deliberately. Move to another part of the room or podium. One step forwards or backwards doesn’t count. It has to be at least five. Obey time constraints very strictly. You might have three minutes. Or 45. Either way, customize your presentation to fit the time allowed, and respect your audience by not going over time. Even the President’s State of the Union Address in the US takes only around an hour. Know what’s expected of you and deliver that, and no more. We’ve all been tortured by a speaker who goes on and on, caring little for the audience’s interest or comfort levels. Don’t be one of those speakers, always leave them wanting more. Here’s a cool YouTube video by Axellerator that explains The Facilitation Rainbow, my favorite model amongst all public speaking techniques. Enjoy! The Facilitation Rainbow is a great technique to improve your public speaking skills, especially if you are looking for ways when and how to to interact with an audience. Remember the last time you were invited to a presentation that initially seemed quite interesting, but then turned out to be a real disappointment? Endless slides using a font too small to read from where you sat, graphics that you couldn’t quite grasp and a total absence of structure. And before you knew it, you were wondering what you wanted for dinner that evening. The obvious result: people have brain capacity left and their brain looks for other things. Having great content alone is not enough to keep their brain full occupied. You need to go beyond great content. You need to think about the group interaction you want to create to reach your goal. The ability to deliver your content in an entertaining way is a crucial speaking skill! The Facilitation Rainbow is a group facilitation model. I learnt it quite a while ago when working for Arthur D. Little. I liked it a lot then and still do. In fact, I like it so much I teach it in one of my master classes and always use it to prepare for a group interaction, whether it’s a keynote address, workshop or lecture. t’s a scale (hence the name), ranging from telling modes to complete audience empowerment. And each interaction type demands different skills from the facilitator. In the next section, you will find public speaking tips for each of the 5 Rainbow speaking styles. When using the telling style, all content comes from you, none from the audience. It’s the most effective style when you want to deliver a lot of information in a short time period. But, in my experience, it is also the style that will induce yawns from your participants the fastest. You need the Telling style in almost every most group interaction you have; it’s virtually impossible not to use the telling style. So give this style most of your attention. There are already enough boring speakers out there. No need to make the list any longer. Stand out and become a great speaker. Want more tips to get started? Personal branding expert Greet Bunnens gives in one of her blog articles, another 37 tips to overcome your fear of speaking and to survive on stage. As with Telling, the moderating speaking style is content driven. As a general rule of thumb, 75 percent of the content should come from the speaker, 25 percent from the audience. This means that if you don’t have the content, you will always come short of your goal with this style. You can expect some input from the group but it’s safer you cover your base and use the input as an extra. Besides the telling skills, the facilitator needs solid listening skills, the ability to show that (s)he is listening and know how to read and react to body language. Compared to Telling and Proposing, with Moderating, the main goal is to involve people and conduct a meaningful conversation. So, the speaking skills you need are less content related as you want to try to involve everyone to come up with meaningful insights. Check positions regularly (in favor/against) but do not vote (That’s another style)! The fourth public speaking style from The Facilitation Rainbow is the Stimulating Style. In this style, most of the content comes from the audience, not from the facilitator. There are two formats: divergence — collecting all ideas, also know as brainstorming — and convergence — reaching a shared point of view, also know as taking a decision. Facilitating a brainstorm (Divergence) is something most facilitators can handle pretty quickly. Facilitating a decision process (Convergence) is not a natural skills and demands more from a facilitator as, in general, more emotions are involved due to the decision element. Therefor, active listening becomes even more important. A crucial tip: make sure the groups agrees upfront on the process to reach a decision. Focus on this process and stay away from the content. Motivating the group to manage itself. The facilitator takes a step back and does not intervene. She observes the group dynamics , monitors progress towards the goal and knows what to do when the group gets stuck. A group can be empowered, even if it’s not ready to take over the complete process. Running into a wall and climbing over if can be a very effective learning method. Like this mini-guide about how to improve your public speaking skills? Want to help others become a better speaker? Next Post Leadership quotes I 25+ Amazing Quotes about Leadership and Teamwork!